G.P. Putnam's Sons Books for Young Readers, 9780399224454, 40pp. 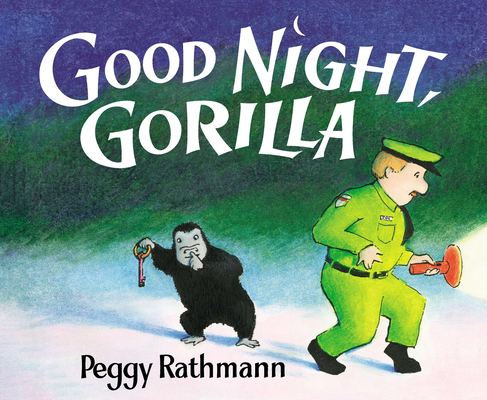 For a short time, this new larger edition includes a print signed by Peggy Rathmann! It's bedtime at the zoo, and all the animals are going to sleep. Or are they? Who's that short, furry guy with the keys in his hand and the mischievous grin? Sneak along behind the zookeeper's back and see who gets the last laugh in this riotous good-night romp. The new generous trim size of every toddler's favorite book is even easier to share. With a warm, funny author's note highlighting how much this book has meant to kids and families since it was first published and some clever new details hidden in the illustrations, Good Night, Gorilla is the perfect gift for new babies as well as fans young and old.